HomeNew CarsNewsFord Reveals Everything About the Focus RS! 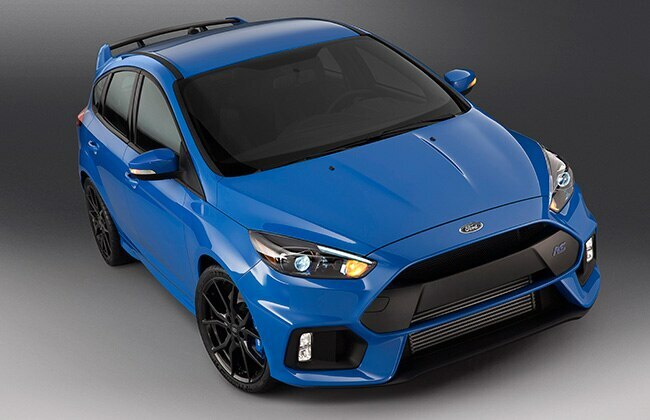 0-100 kmph comes-up in 4.7 seconds and it hits 165 mph (265 kmph); like the Mustang, 2016 Focus RS is also on a world Tour! At the ongoing 2015 Frankfurt Motor Show, Ford has revealed the performance specification of the super hot hatch - 2016 Focus RS. The $36,605 dollar (nearly Rs. 24 Lac) fastest Focus RS yet sprints from standstill to 100 kmph in 4.7 before hitting its top whack of 165 mph (265 kmph). The engine specifications were revealed earlier this year at the Goodwood Festival of Speed in Europe. Starting with the engine first - the 2.3-liter inline-4 turbocharged motor in the Focus RS chucks out 350 PS at 6800 rpm and 440 Nm of torque extracted in-between 2000-4500 rpm. However, with the overboost mode, the fastest-yet RS pour-in 470 Nm of max twist for 15 seconds! It is also the first RS to feature AWD (All-Wheel-Drive) system, the Ford Performance All-Wheel Drive in the RS uses twin electronically controlled clutch packs to manage the car’s front/rear torque split, and can control side-to-side torque distribution on the rear axle – delivering the torque vectoring capabilities. 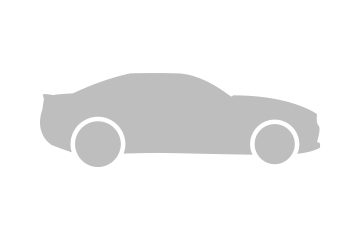 The AWD system monitors inputs from multiple vehicle sensors 100 times per second. To deliver optimum driving dynamics, the system was calibrated alongside the car’s advanced electronic stability control, in particular, its brake-based Torque Vectoring Control that works in parallel with torque vectoring all-wheel drive.